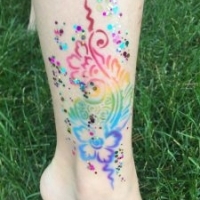 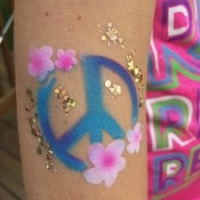 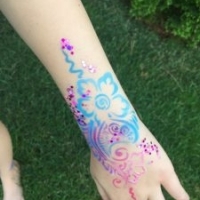 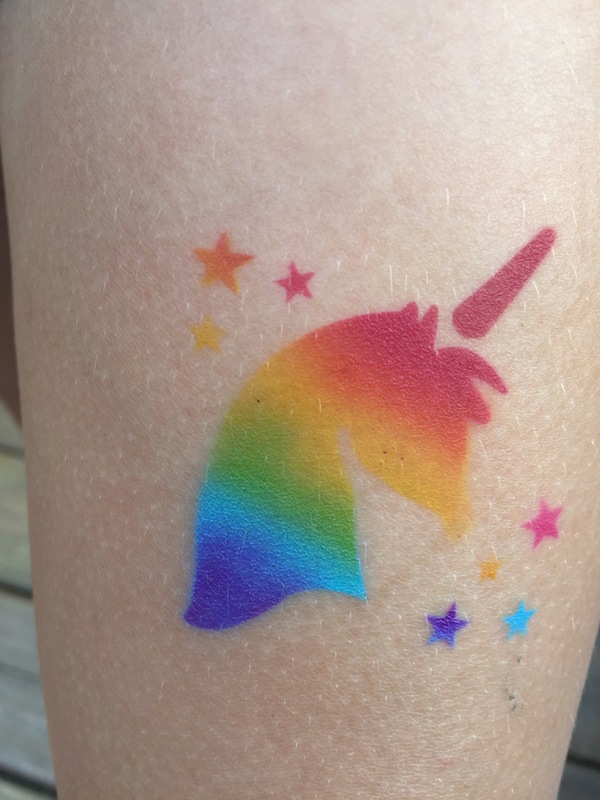 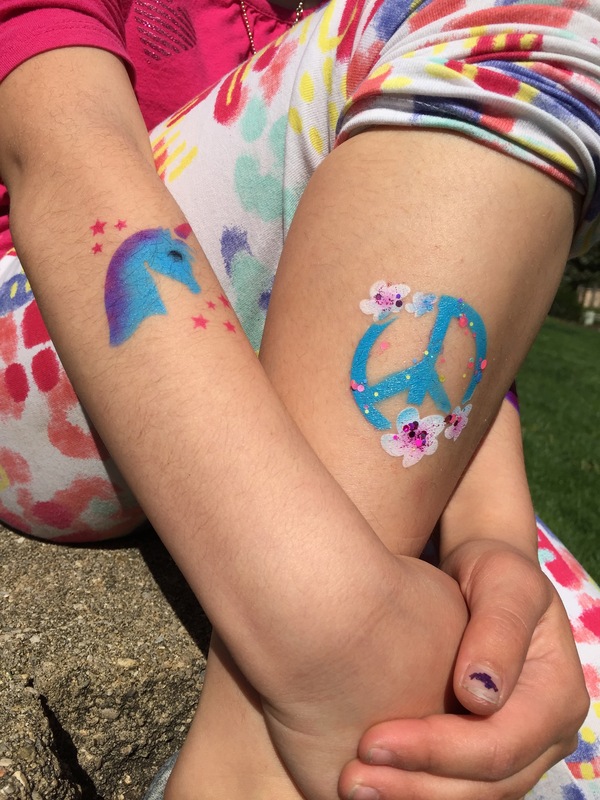 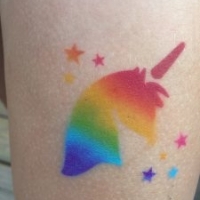 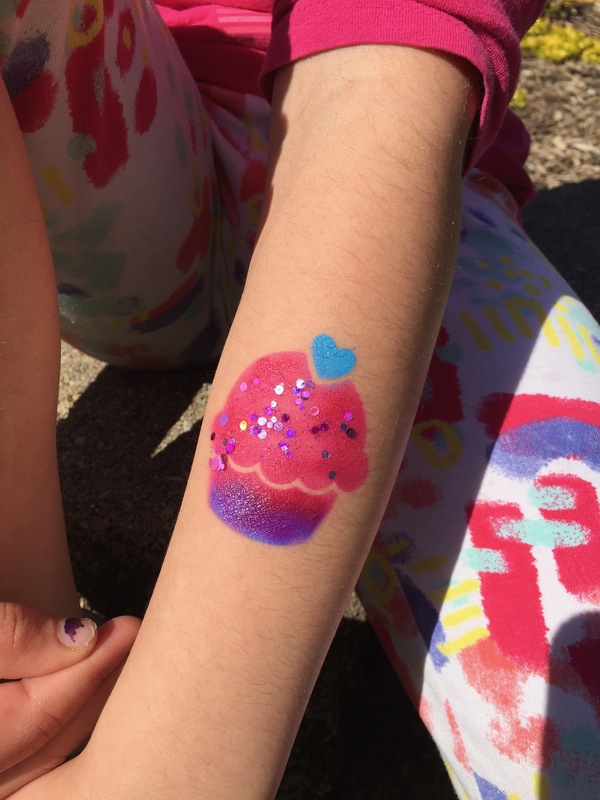 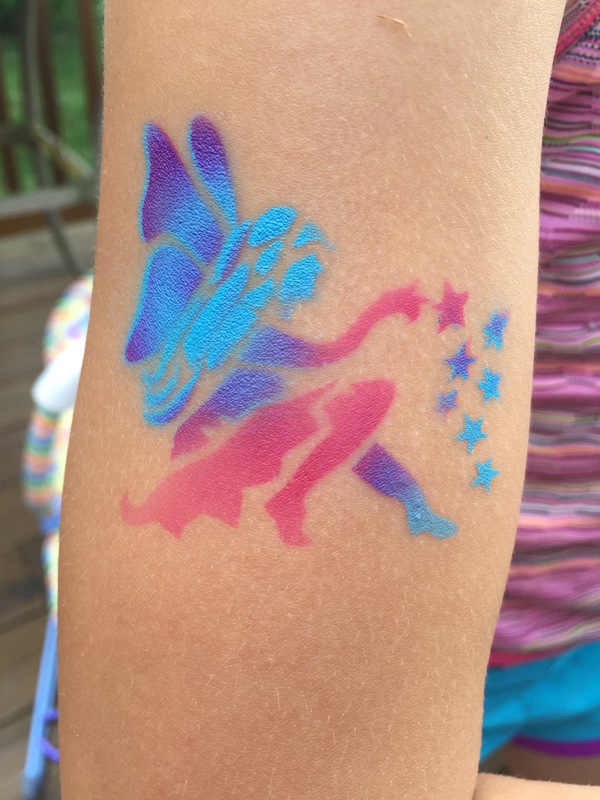 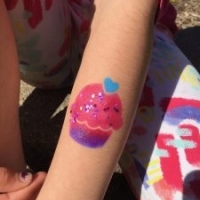 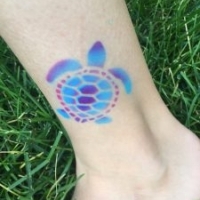 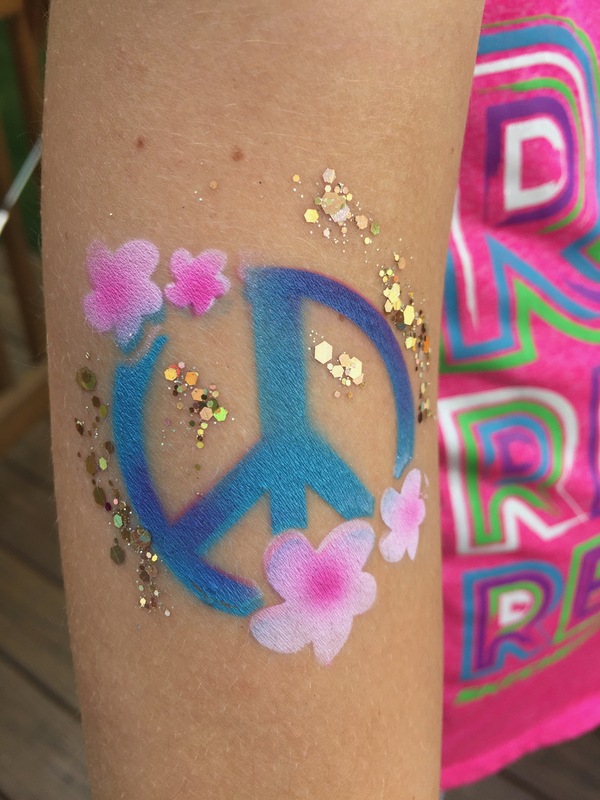 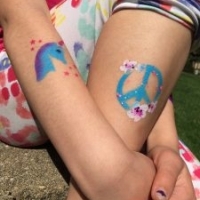 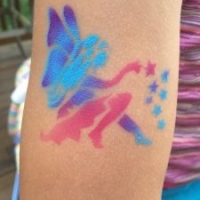 Erica’s colorful temporary airbrush tattoos are a fun and playful addition to your next event. 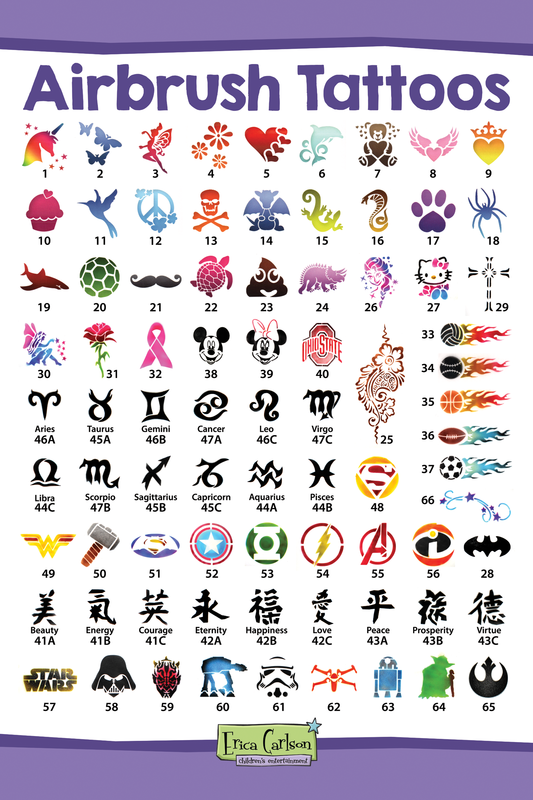 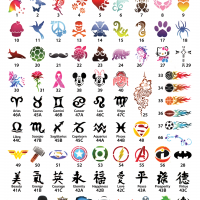 There are dozens of designs to choose from, including superheroes, animals, sports, Star Wars, and many more. 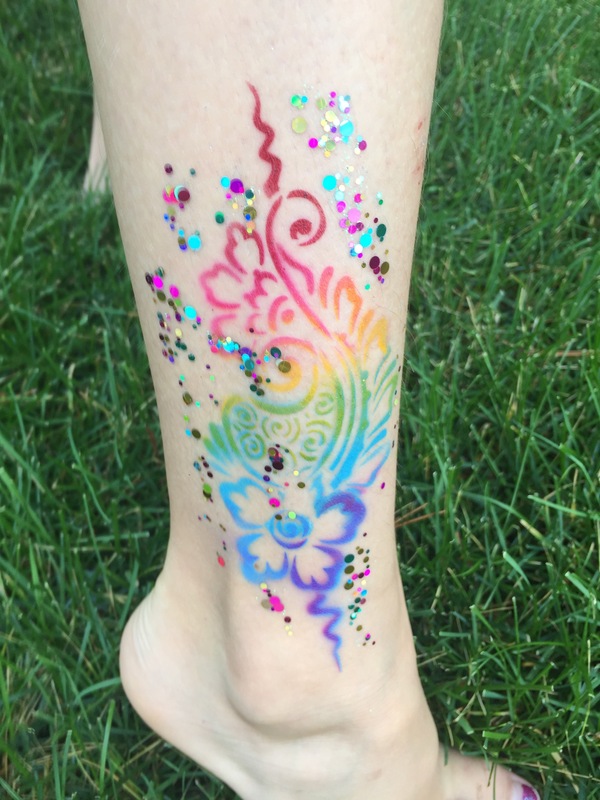 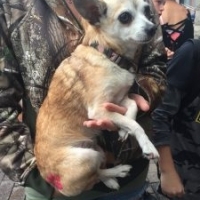 A tattoo can be applied in about a minute or less, dries in seconds, and stays on for days (until you decide to remove it with rubbing alcohol). 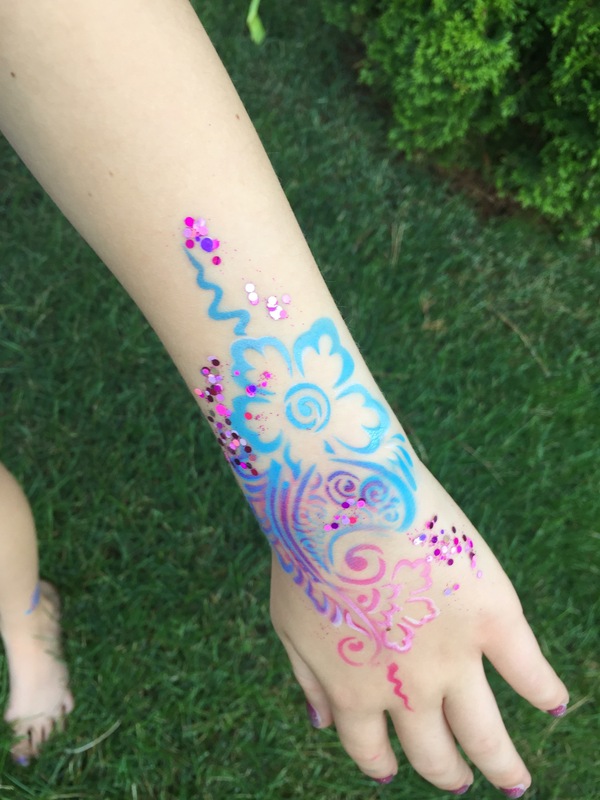 Erica uses a safe, non-toxic, alcohol-based paint that can be applied anywhere except your face. 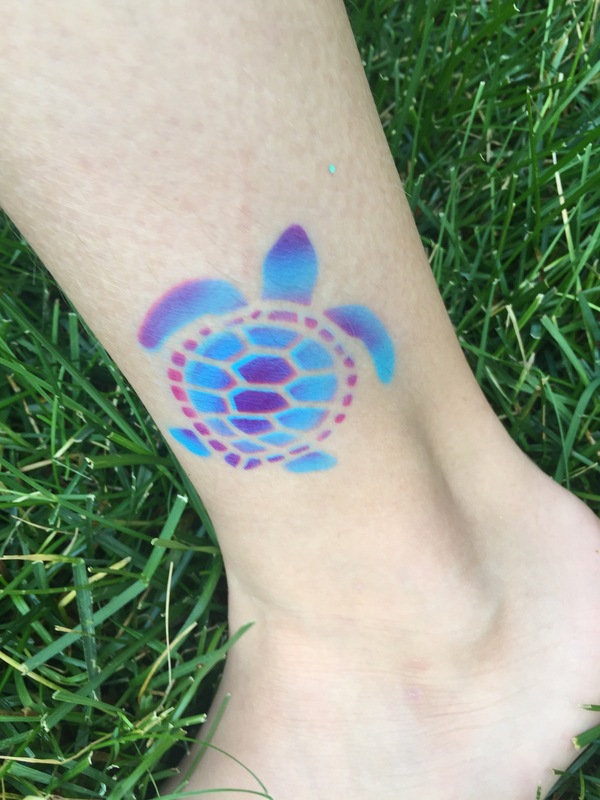 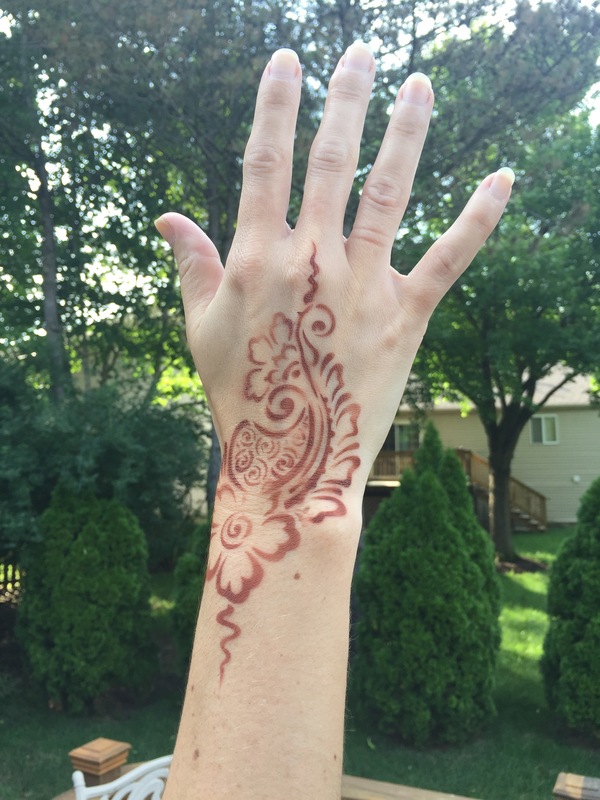 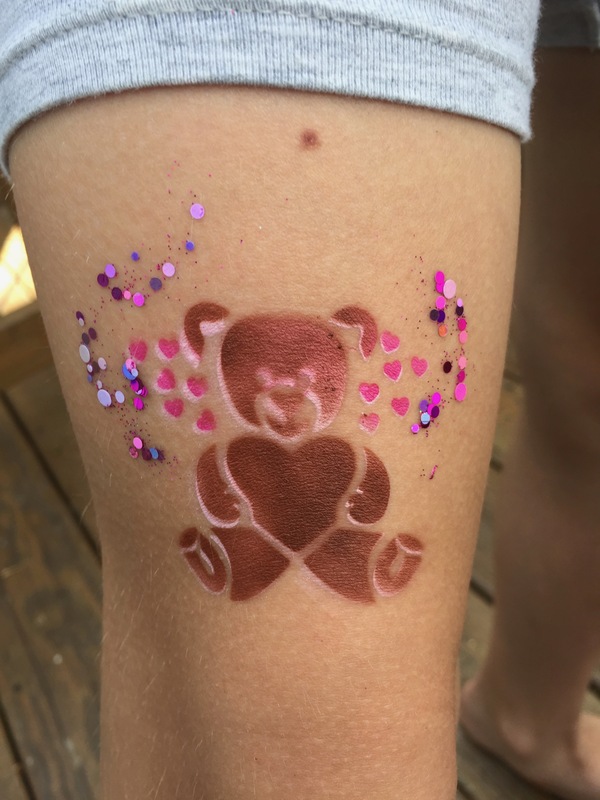 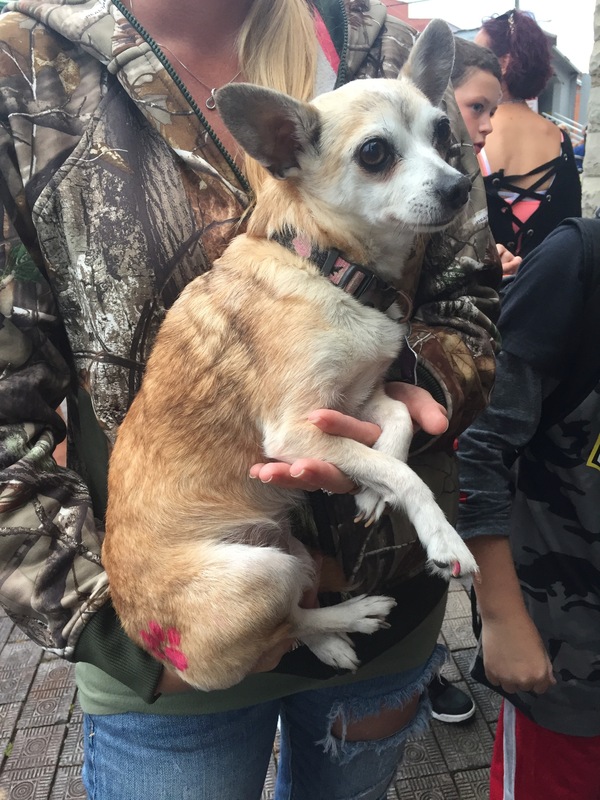 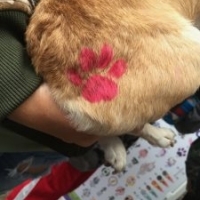 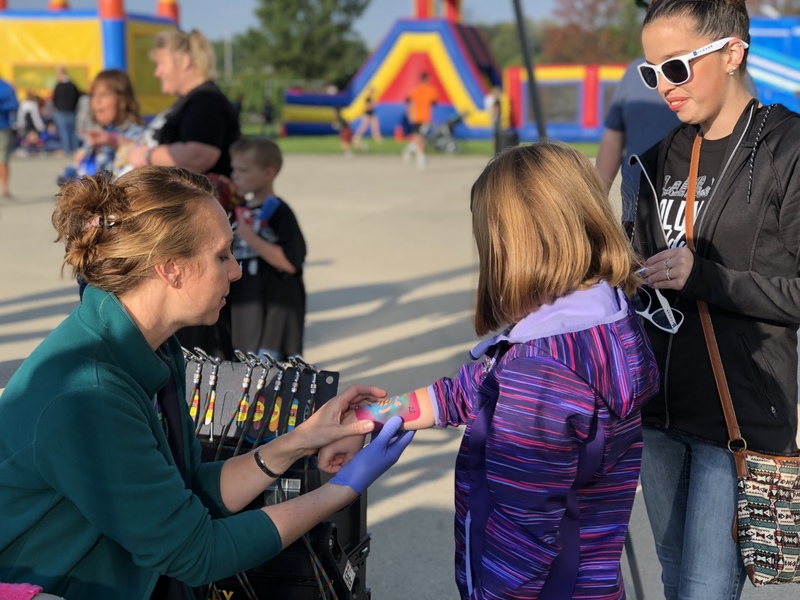 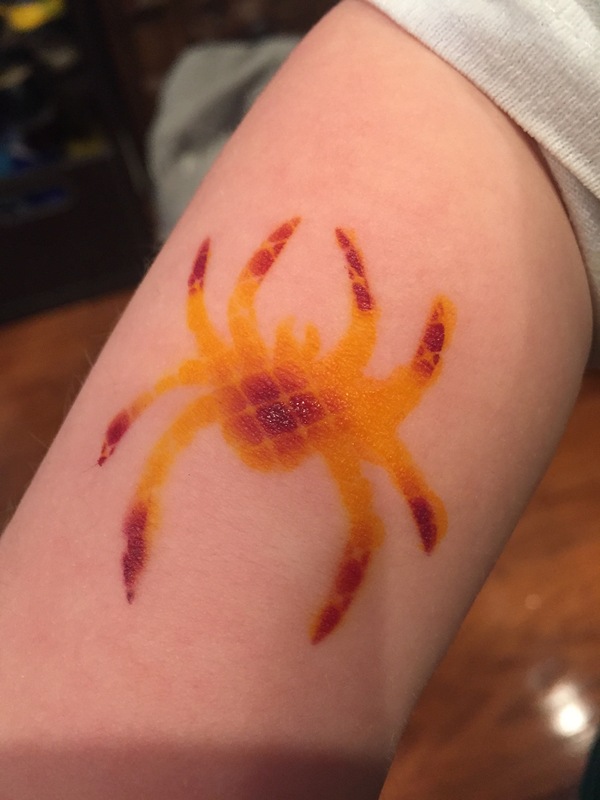 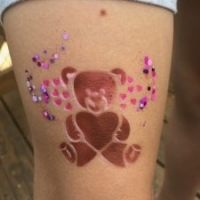 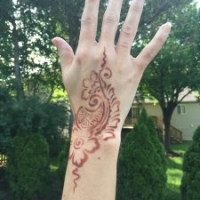 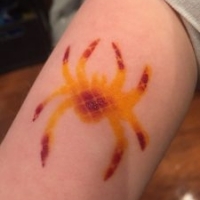 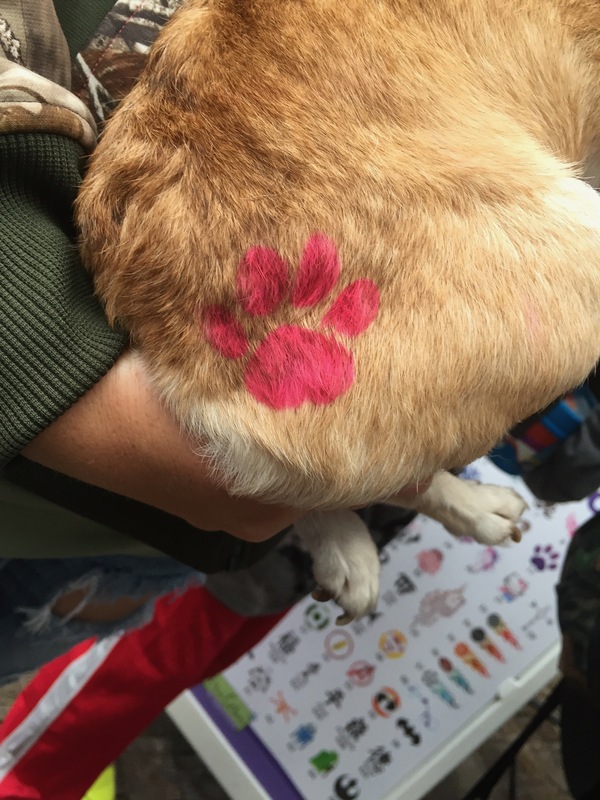 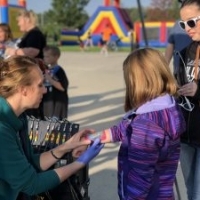 Learn how Erica can use airbrush tattoos to make your next event even better.